Do you feel it? Fall is coming! Two weeks ago we had beautiful 70 degree weather and it RAINED! My kids were so excited! Heck, I was excited! We haven’t seen a lot of rain in California lately, so it’s a pretty big deal when it happens. I got all ready to start making soup and wearing sweaters… aaand then this week happened. The sun is back, and the weather is going to be in the 90s all week. Booo! One of my favorite things about fall is the colorful leaves. Give me a fall landscape over a spring one any day! 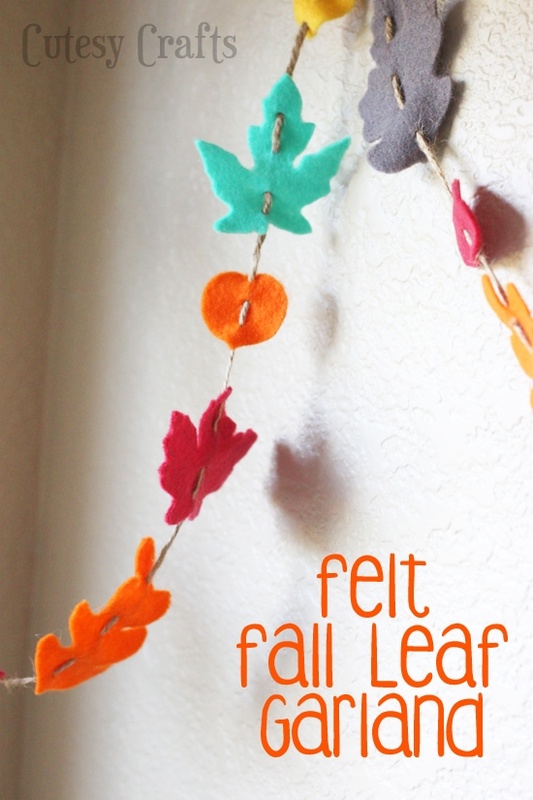 I broke out my felt stash this week to make a pretty felt fall leaf garland. If I can’t get the cool weather, at least I can make it look like fall in my house. I used my Silhouette to cut out the leaves, but, of course, you don’t need one to make this. Scissors work fine too. I didn’t want interfacing on one side, so I experimented some more with ironing freezer paper onto it. It worked… okay. I still had to go back with the scissors on all of the leaves to cut them out all the way. It still saved me a ton of time though, so it was worth it. You can see more about how to cut felt in my videos found here and here. I didn’t flatten the felt like I talk about in the second video. I think that would have made a big difference. 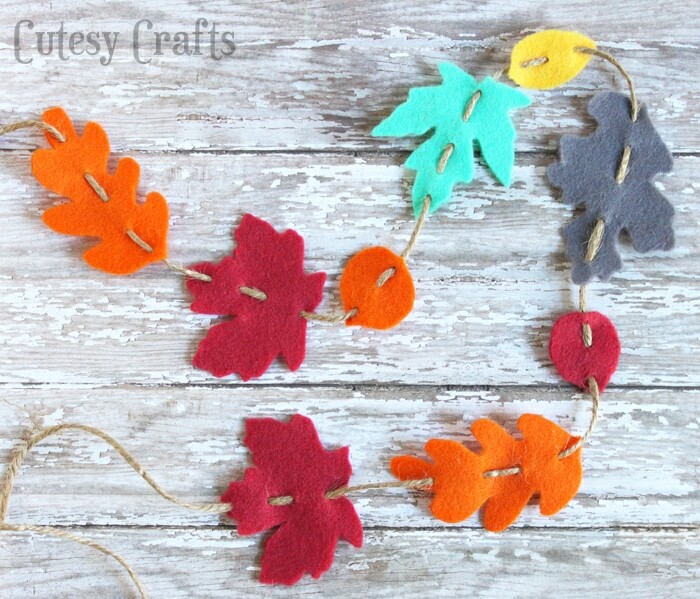 I used the cut file 8 Fall Leaves from the SIlhouette store, but you can definitely find other ones to trace if you don’t have a Silhouette. It’s best to use a wool blend on the Silhouette. My favorite felt company, National Nonwovens, sent me some felt for being one of their pattern partners. The colors I used are Adobe Dreams, One-Shade-of-Grey, Eternal Sunshine, Mint Leaf, and Sunburst. After cutting out all of the leaves, I got a huge needle and stitched through them with some twine. I love the rustic feel that it gives the garland! 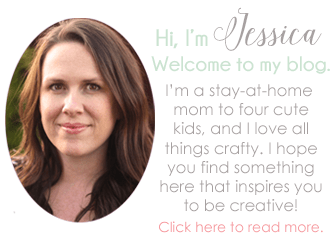 I adore the colors you used for your banner, and the fact that they’re felt! 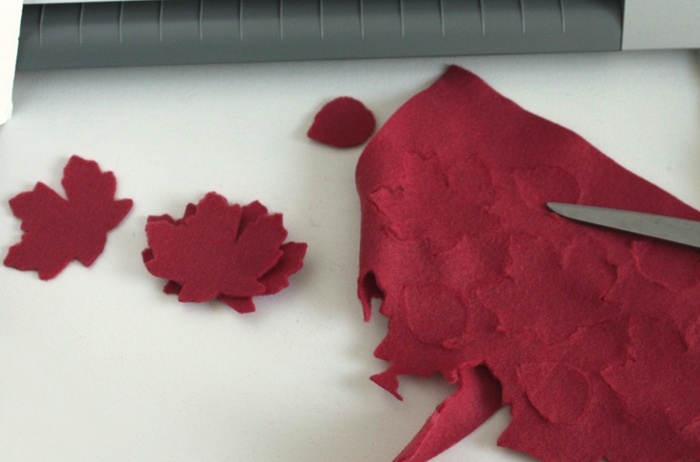 I was unaware that you could use the Silhouette to cut felt…thanks for sharing! Thanks Brittany! Sometimes the Silhouette works great with felt and sometimes it doesn’t. It still saves time though, so definitely worth it. You can cut felt on the Silhouette? Oh, boy… [sound of a door opening] LOL. Can’t wait to try it. 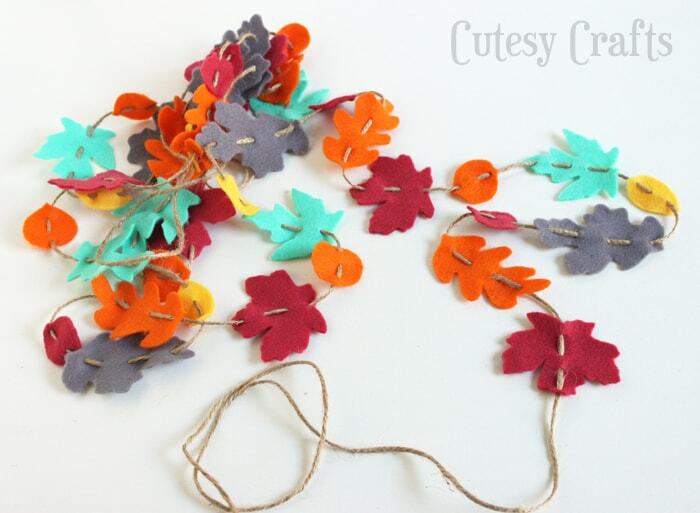 Twine was the perfect choice to link the leaves into a garland…together they create a great autumny feel. This is great Jessica. Gorgeous results with the felt. Oh, thanks Emily! It took me a while to pick the right colors, so that makes me feel better. Haha.